Buffer tank with built in back up option ranging from 4.5K – 29 Kw. 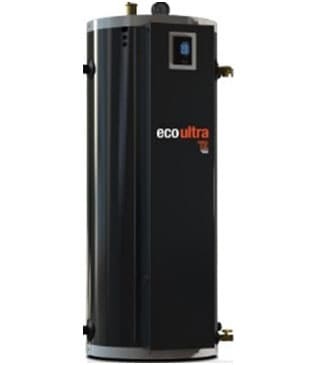 The EcoULTRA also has full hydronic control functionality including digital controller and pump and zone valve control. There is also an outdoor temperature sensor for heating curve functionality. Available in two sizes 50 gallon or 70 gallon. Optional built in copper heat exchanger will deliver heated domestic hot water at an efficiency of 98%. This is a buffer only tank with large ports for great hydraulic separation. The Hydronic Buffer tanks include 3 temperature sensor ports for accurate reading of the internal water temperature. 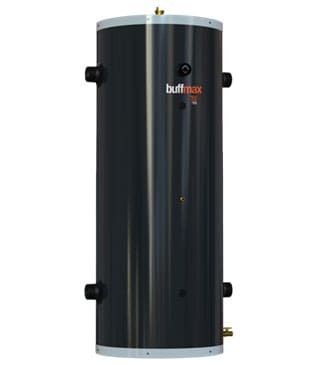 As with the EcoULTRA the BuffMAX hydronic buffer tank also includes a pressure release valve and an air bleed valve. These hydronic buffer tanks are used to with our Arctic Heat Pumps for efficient energy storage and wells as to provide hydraulic separation where two different pump speeds are needed.